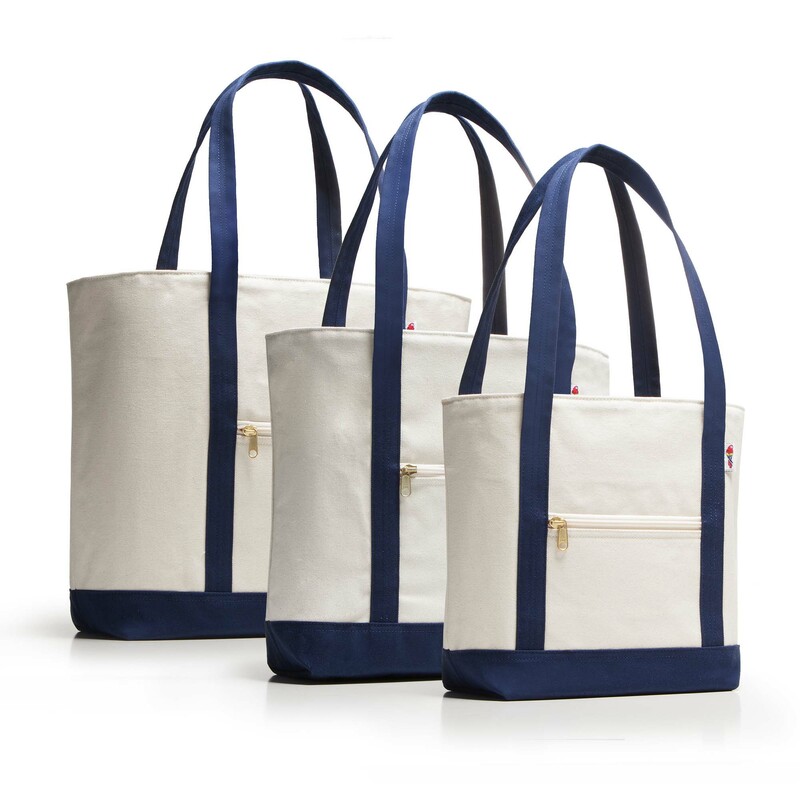 We’ve taken our classic Barrier Island Tote and added a zipper closure to the top and side pocket. 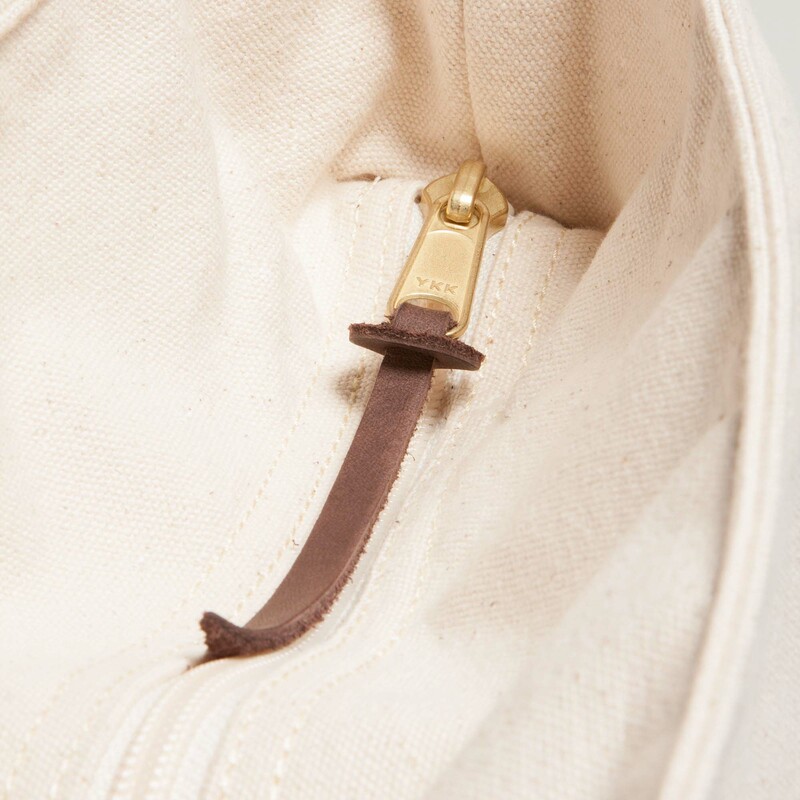 Still constructed from heavy 18 oz. 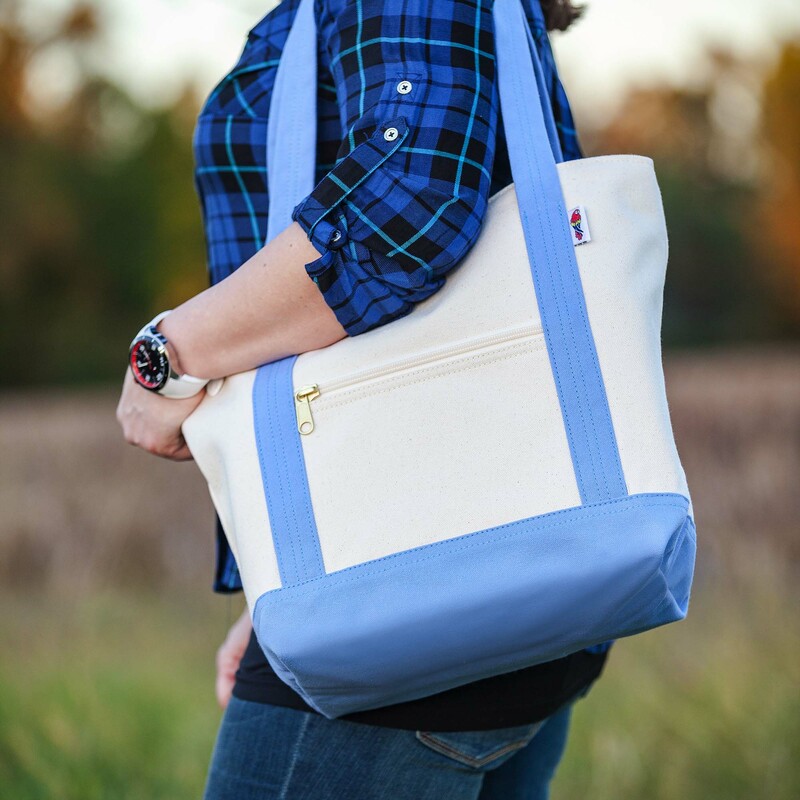 cotton canvas duck with a doubled canvas bottom, we made the straps on the zipper models longer for a comfortable shoulder carry. 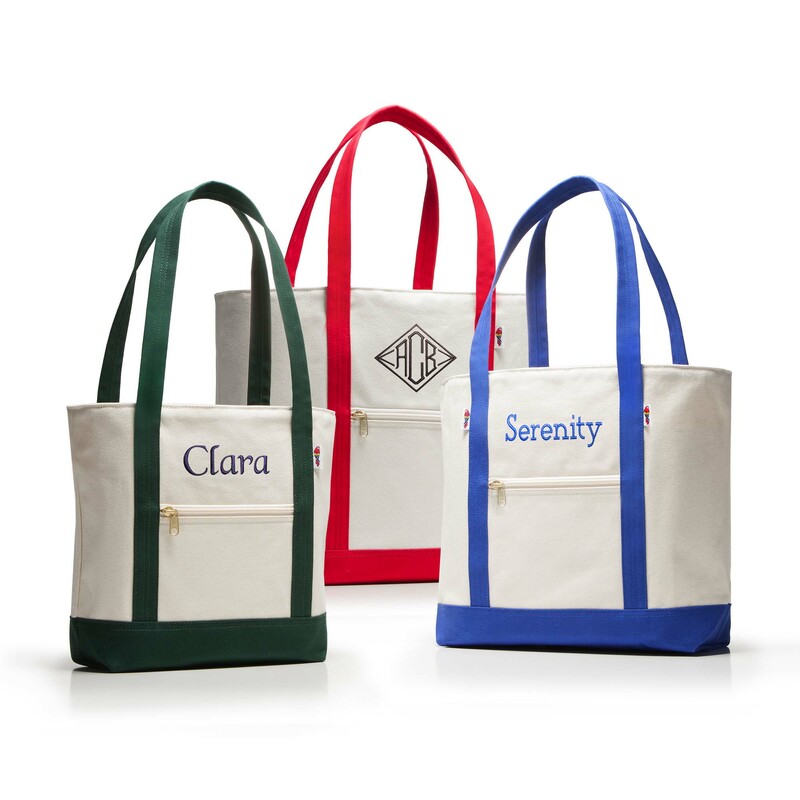 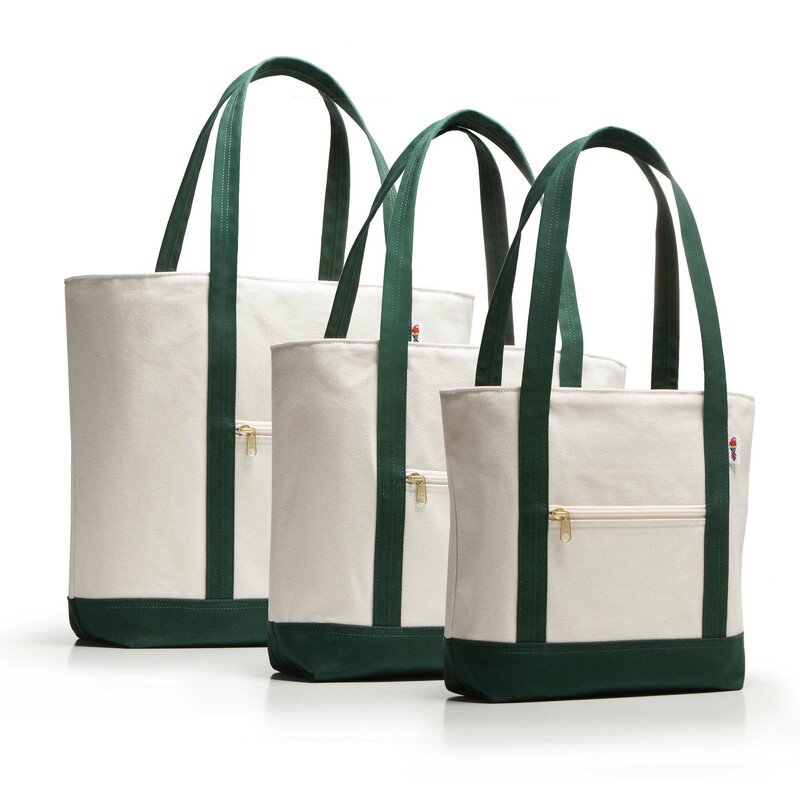 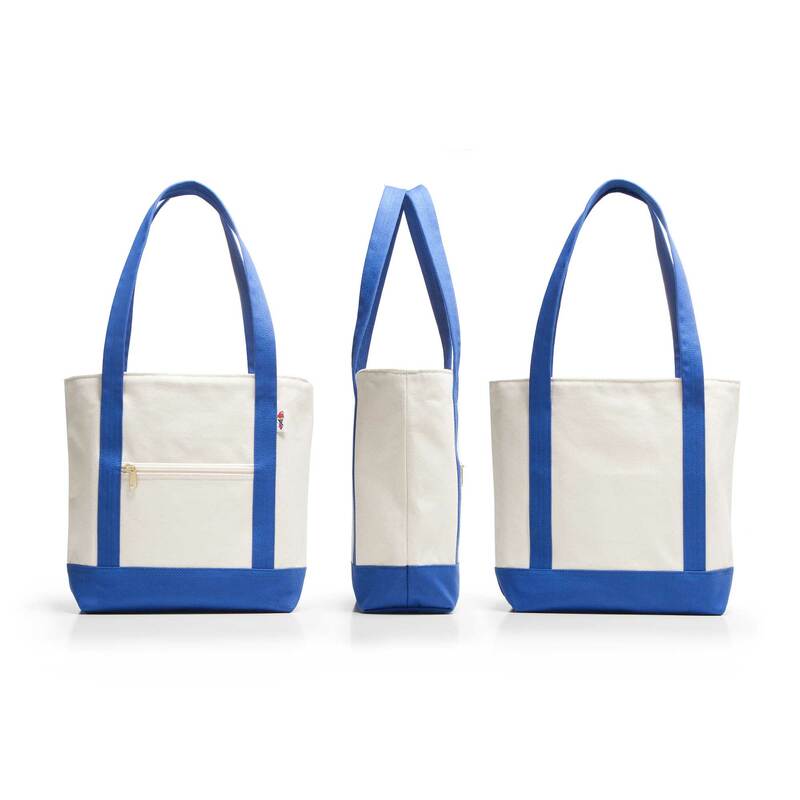 The body of the bag is natural cotton duck with color accents on the bottom and straps. 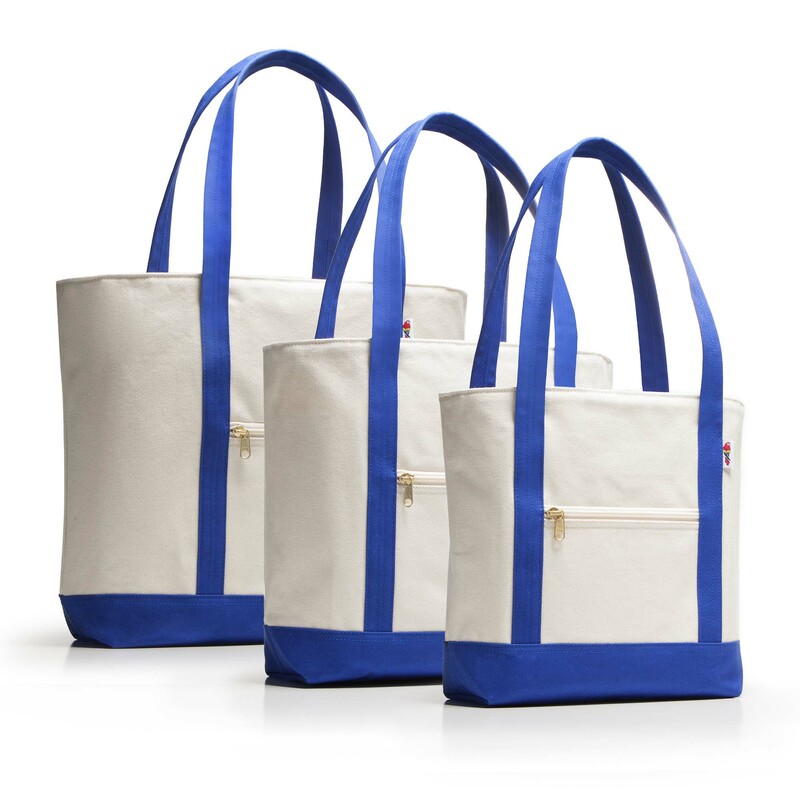 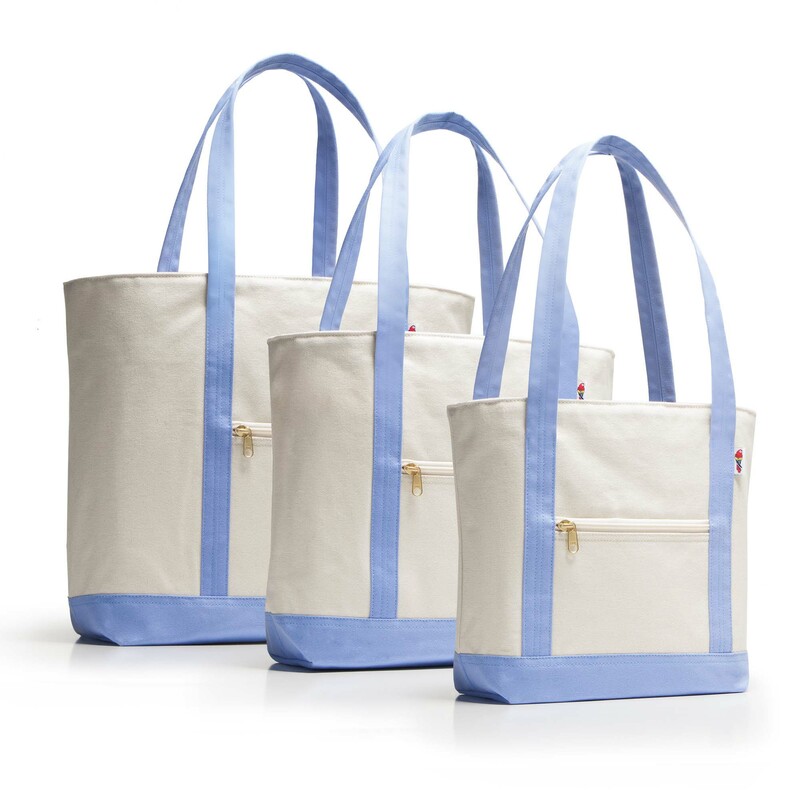 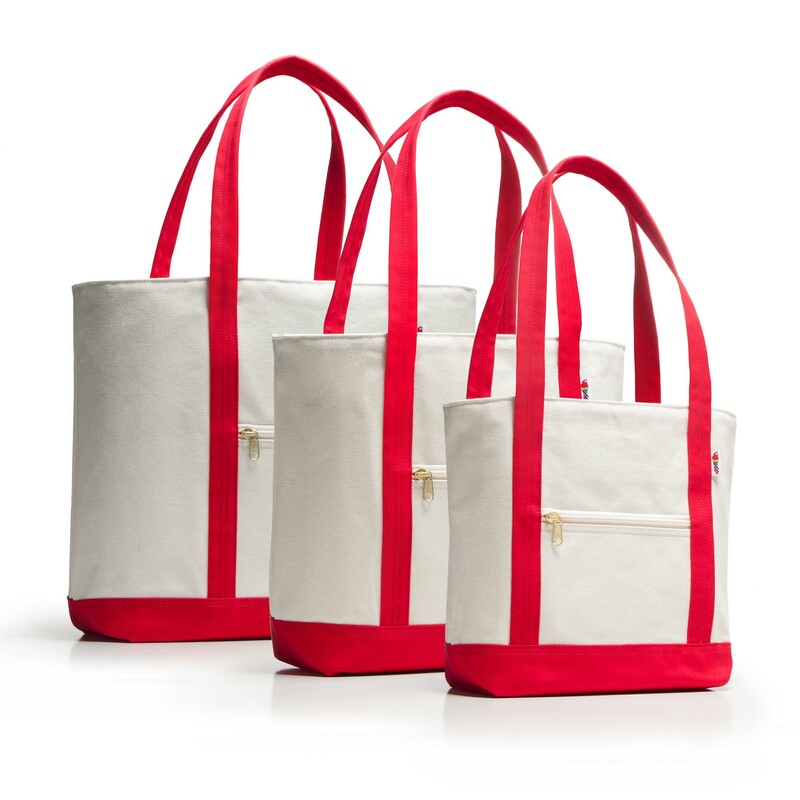 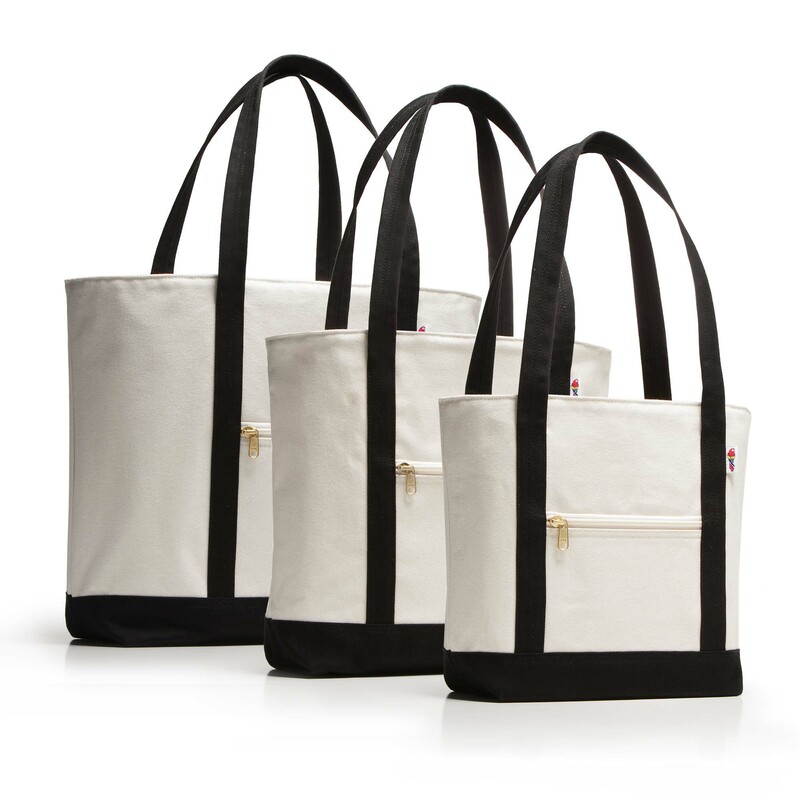 Three sizes serve conveniently for handbags, beach totes and carry-alls, allowing you to travel with an added measure of security.